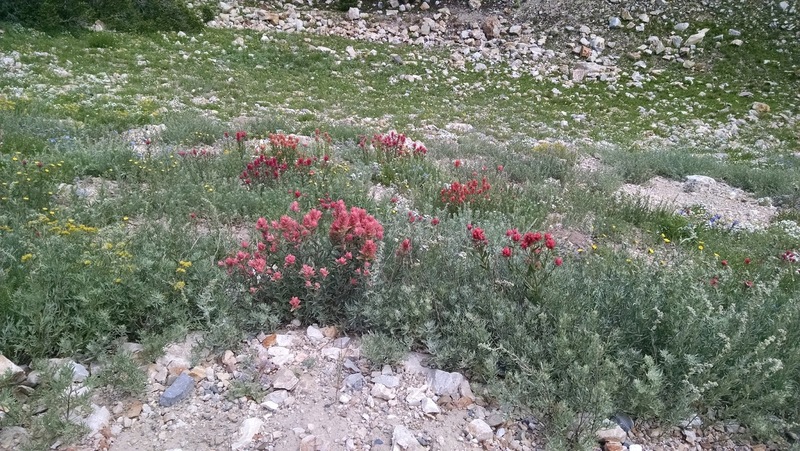 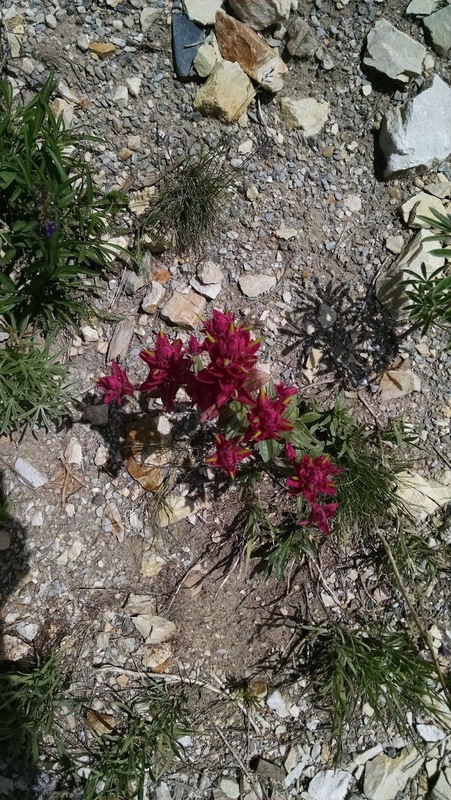 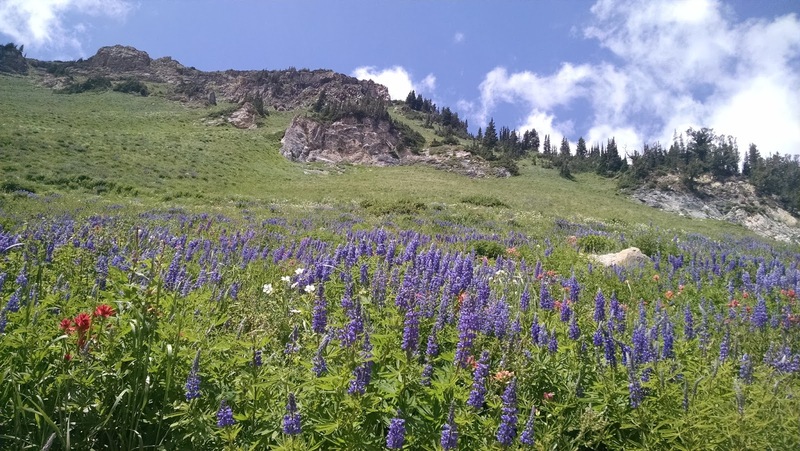 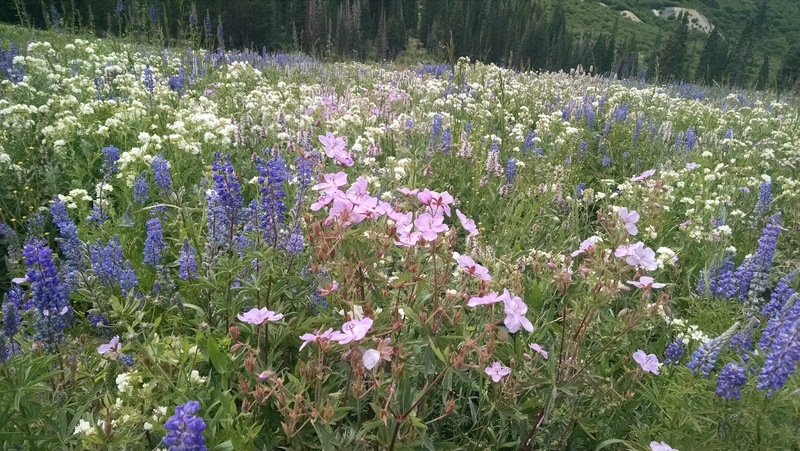 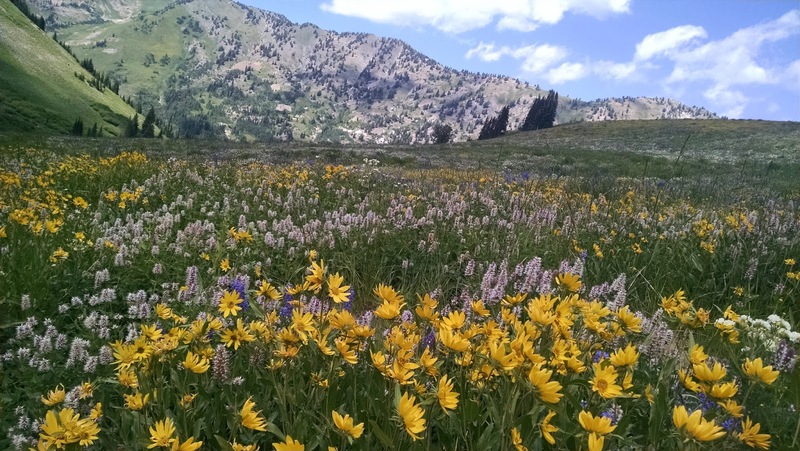 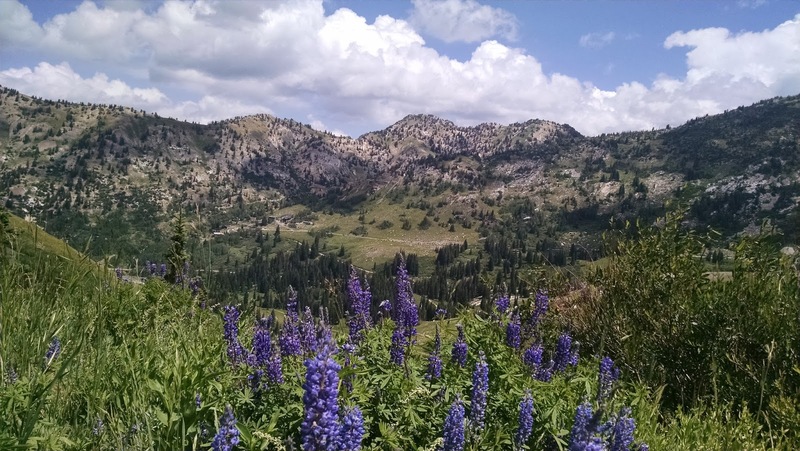 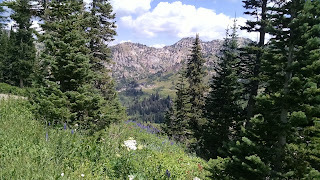 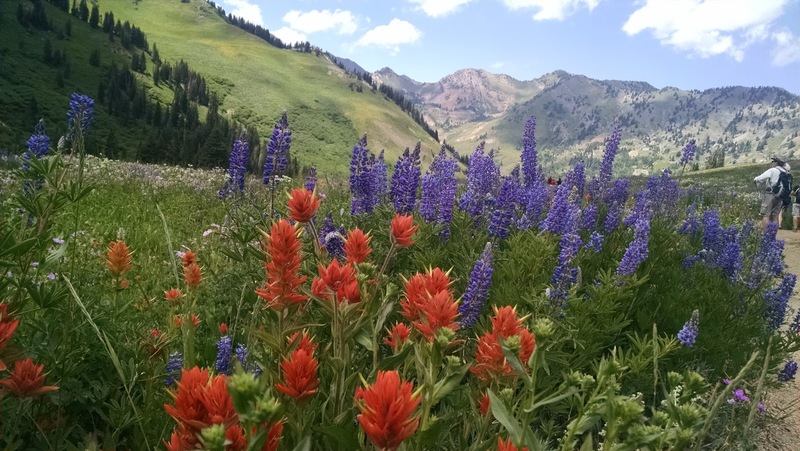 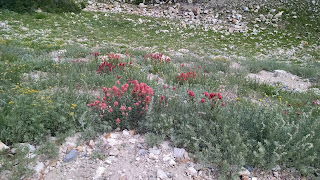 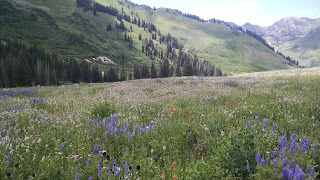 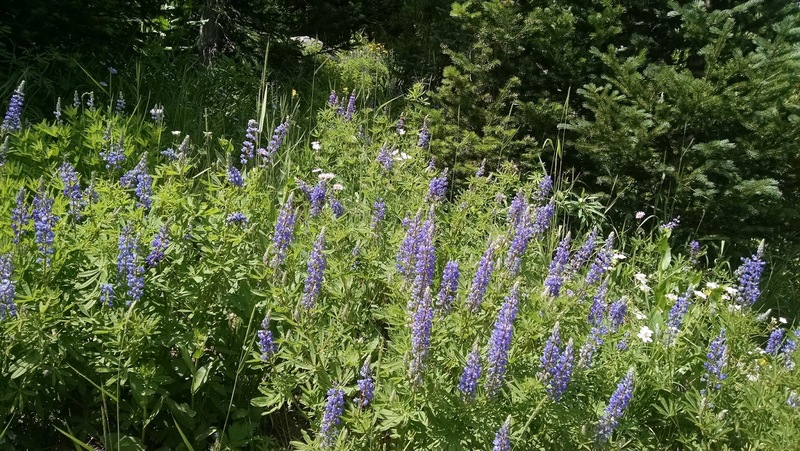 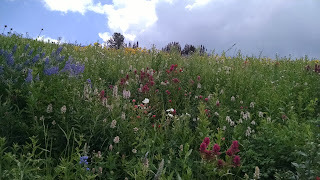 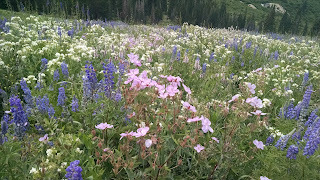 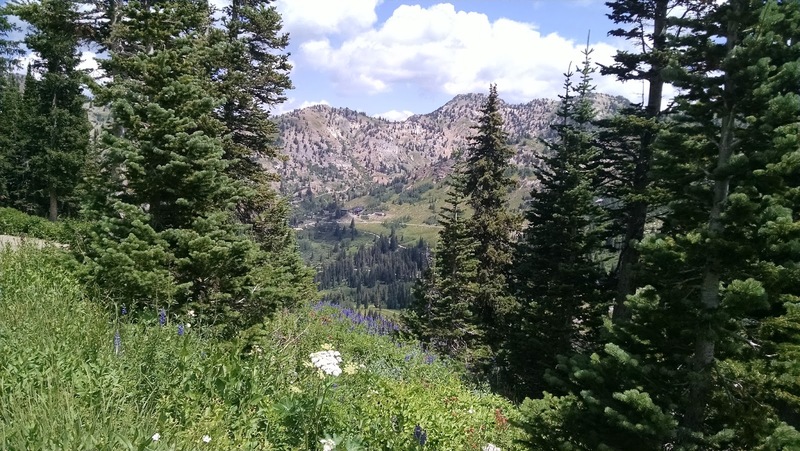 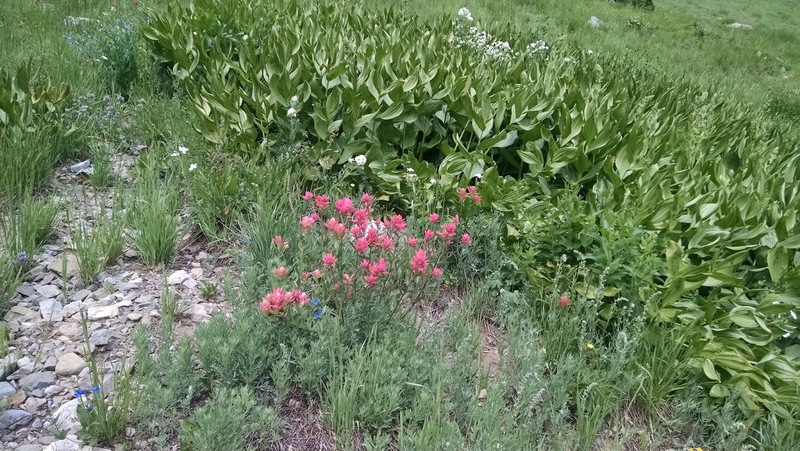 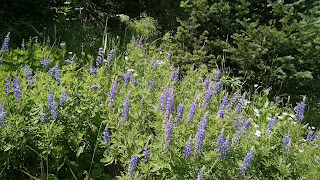 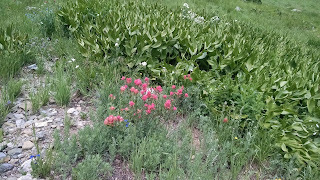 Well, as mid-July tradition holds, it was time to head up Little Cottonwood Canyon and see the July extravaganza. 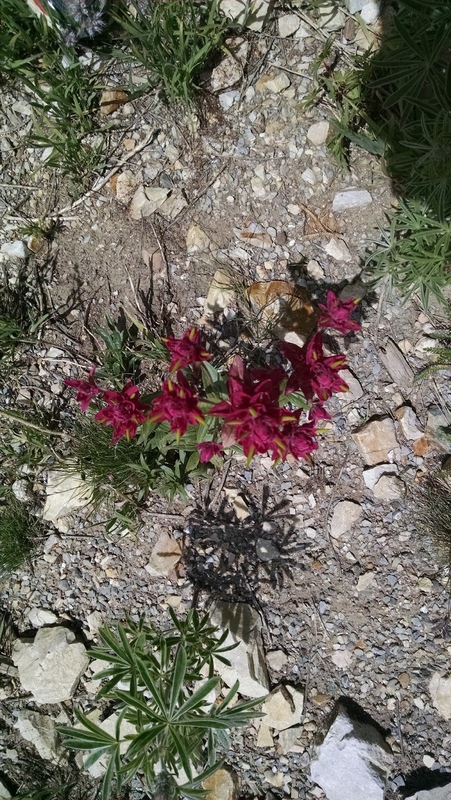 The media (including social media) has been abuzz telling everyone they have to get up there to see the flowers. Having been there before, I knew what to expect and as always they are super gorgeous. 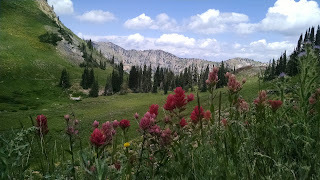 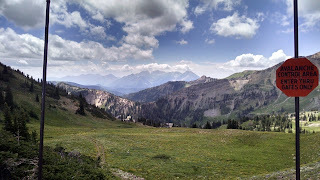 If you want to see previous trips up to Alta (which is about 30 minutes door to door from my house) see here and here. I arrived in Alta to find it quite a bit cooler. 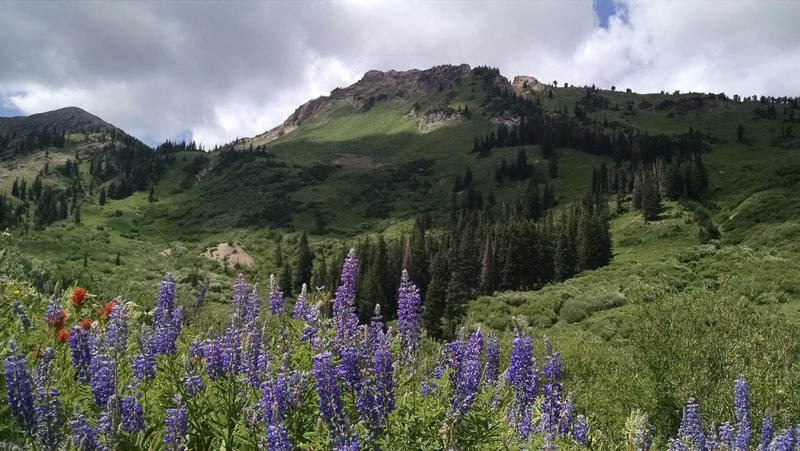 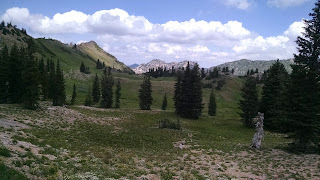 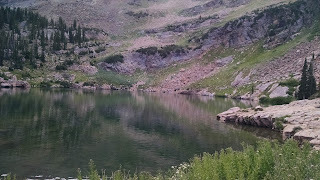 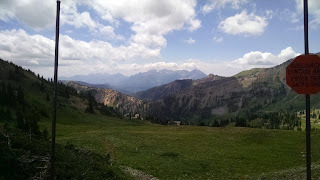 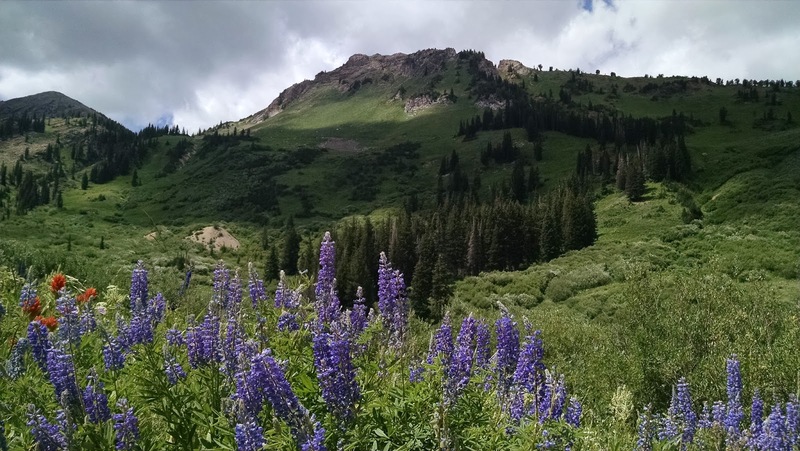 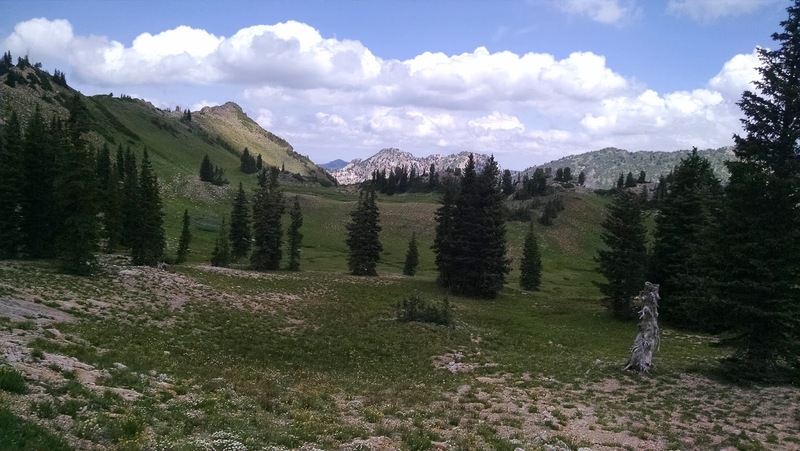 The temperature when I left was in the upper 70's and at the top of Alta (about 8500 feet or so) it was about 62. 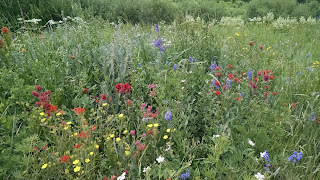 It was a total zoo in the tiny village. Lots of people were waiting in line to take the shuttle to Cecret Lake (aka Screaming Kid Lake). I jumped on the trail and quickly made progress up the trail. 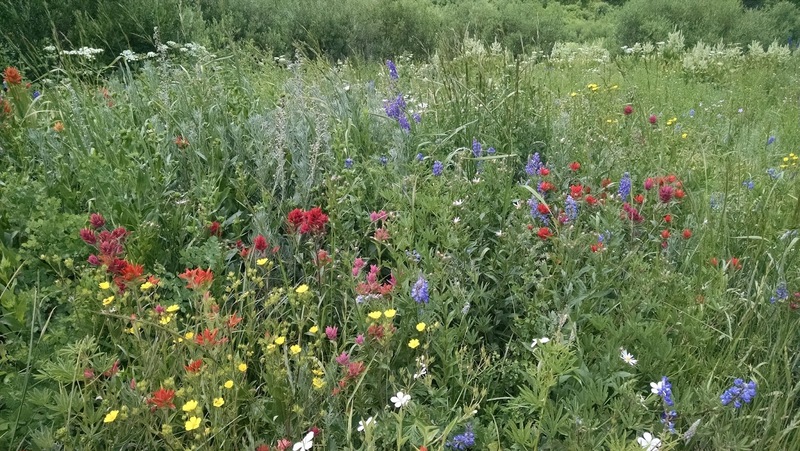 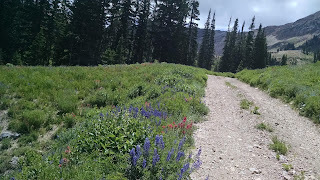 There were a lot of people on the trail (it was no secret the that the flowers were out) and at the first opportunity I took the lesser used trails. 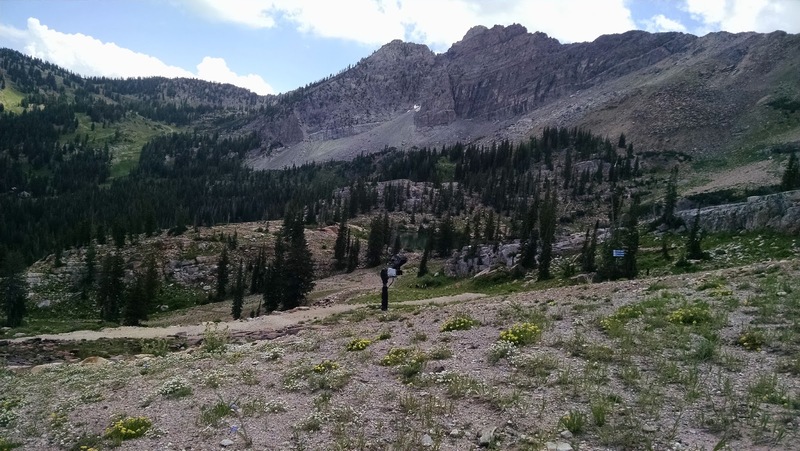 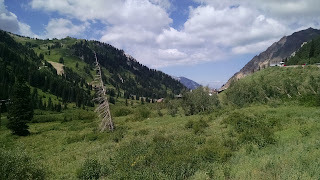 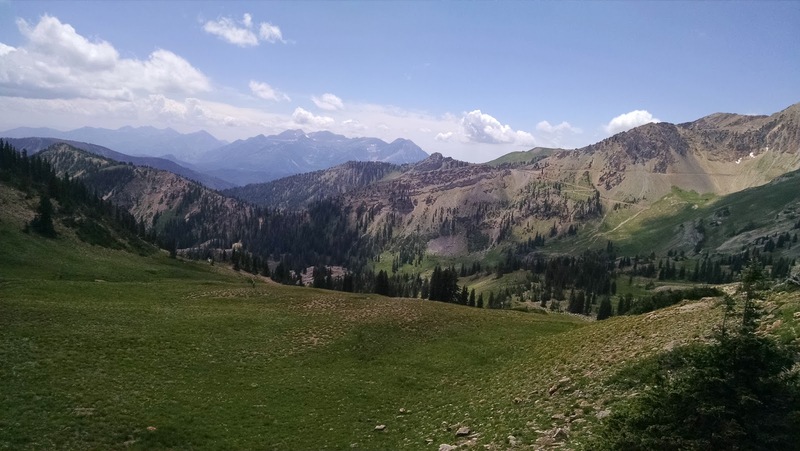 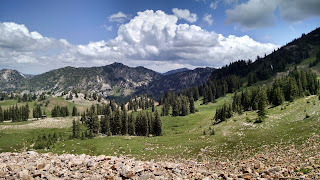 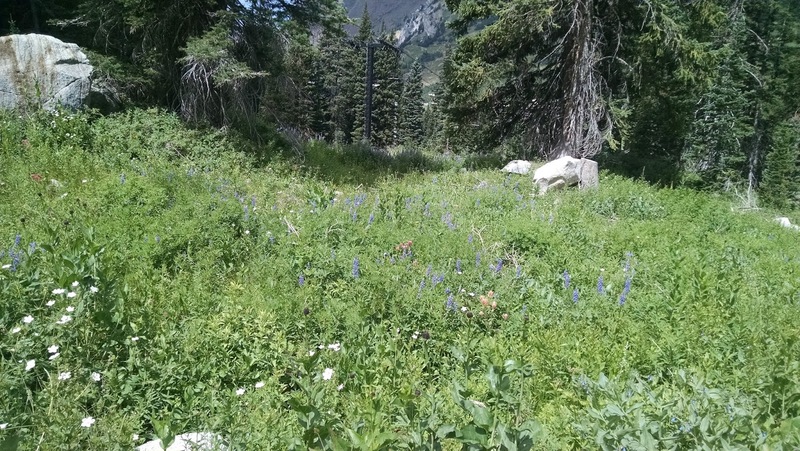 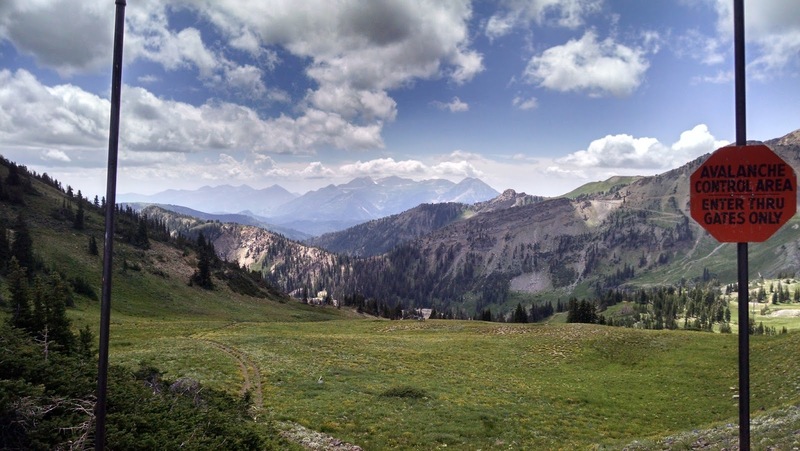 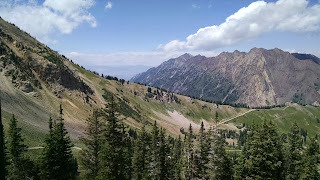 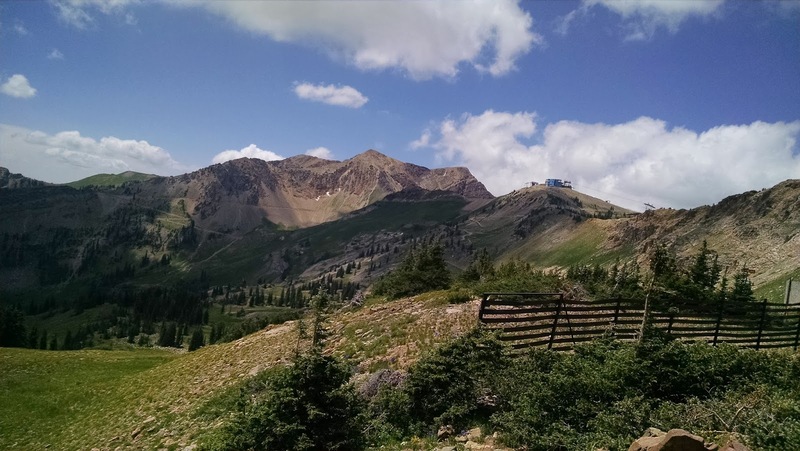 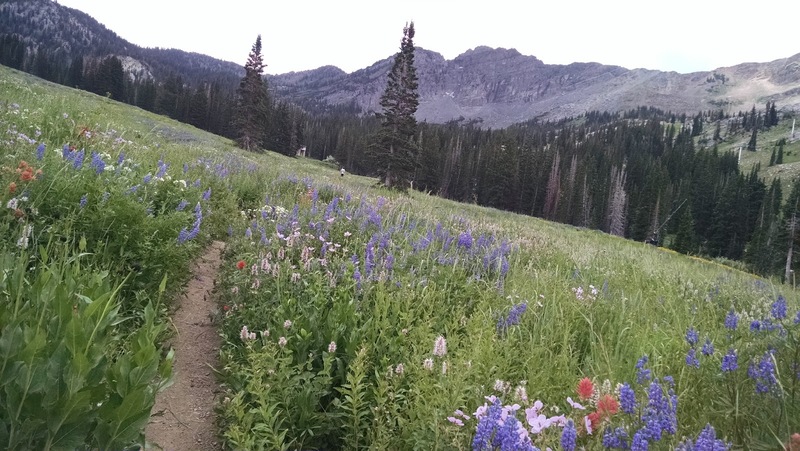 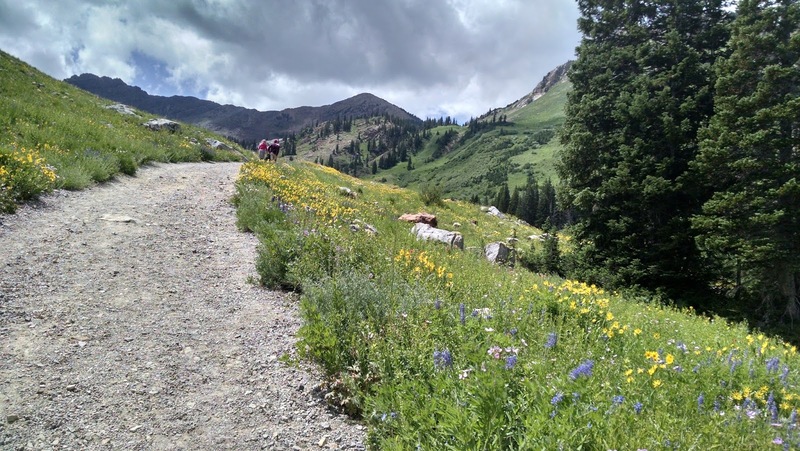 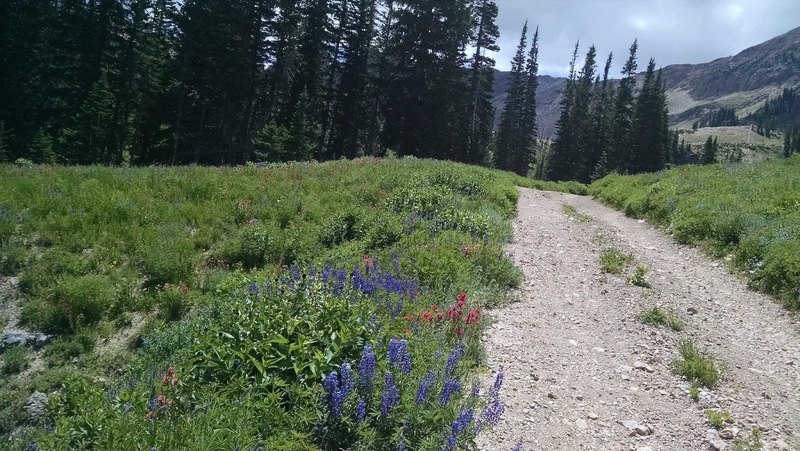 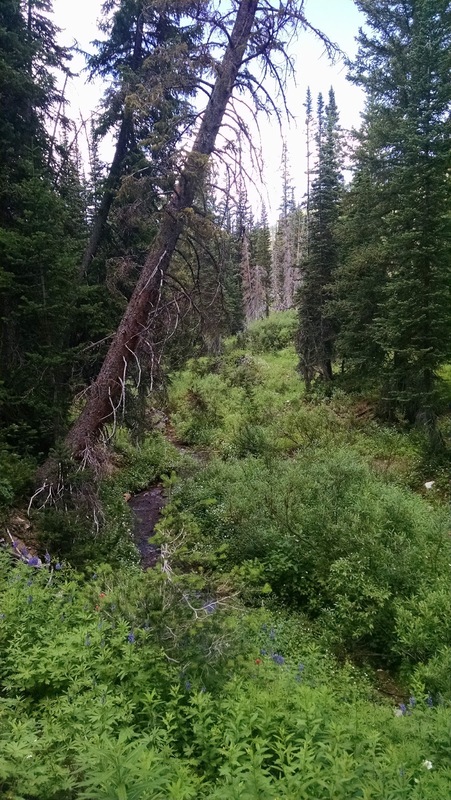 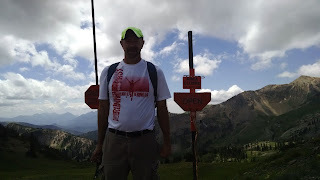 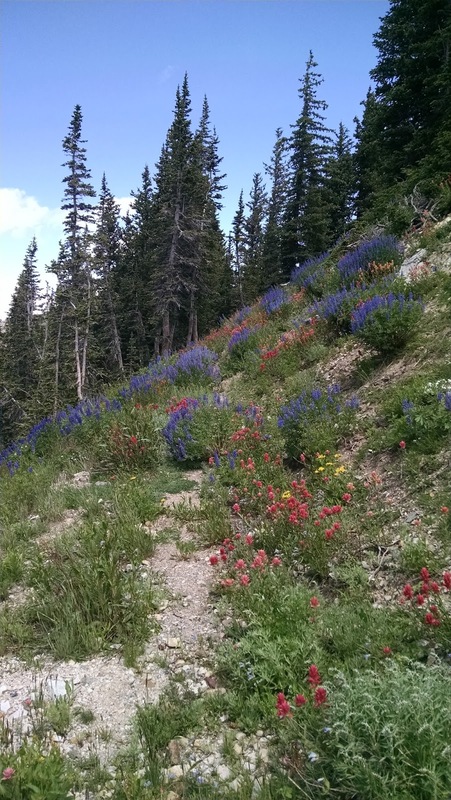 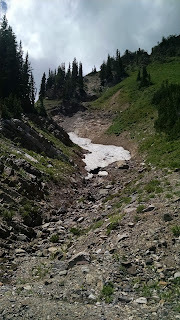 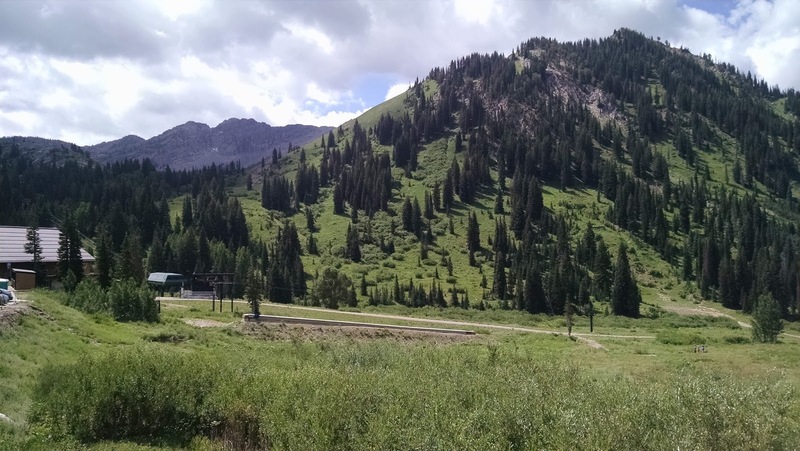 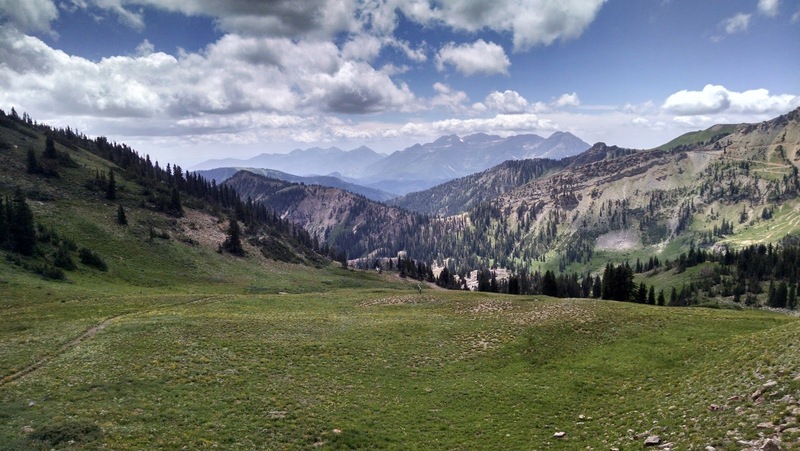 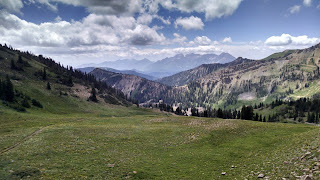 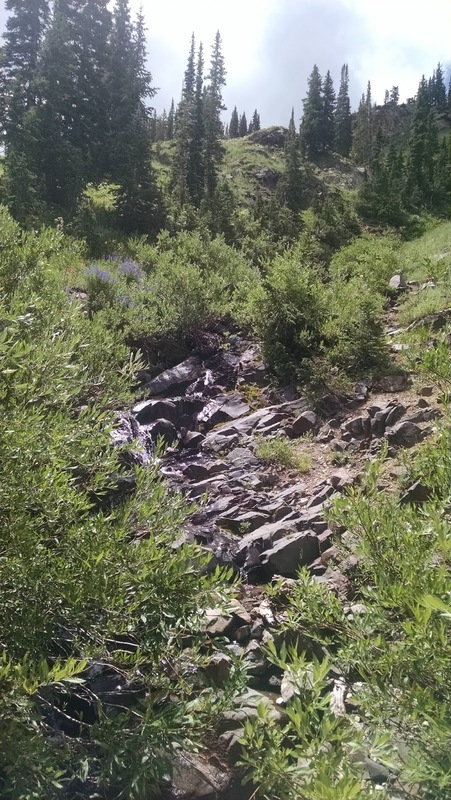 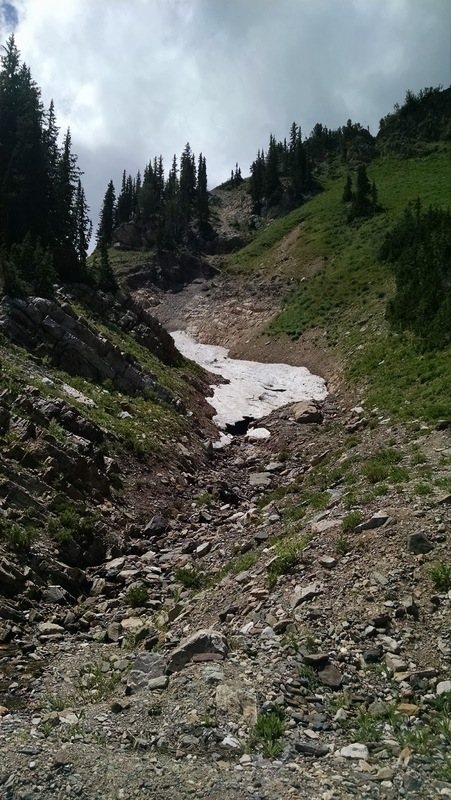 It is the long route to the lake and I wound up taking it to the base of Snowbird mountain (around 10500 feet). 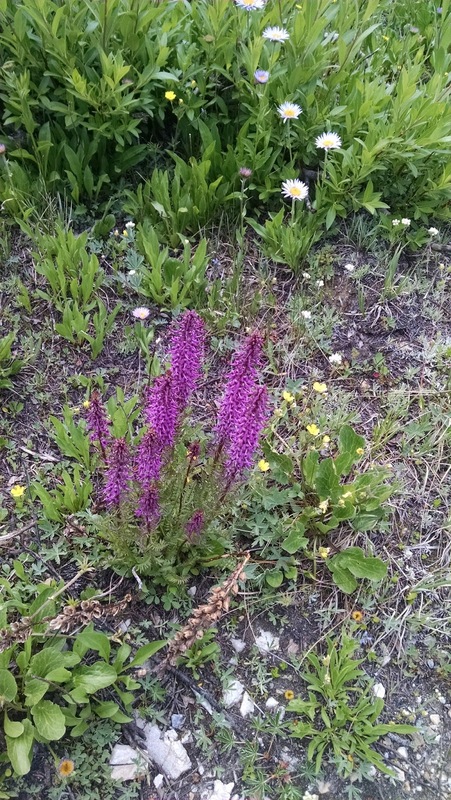 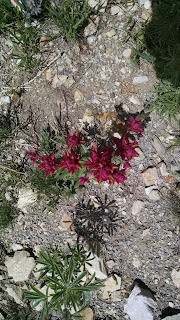 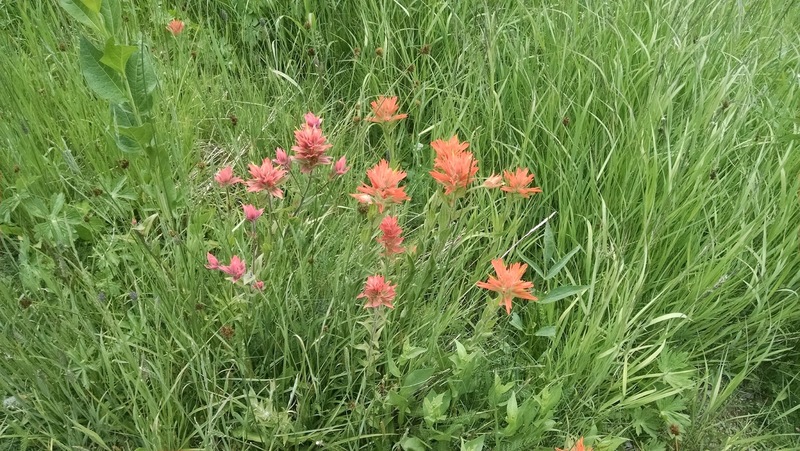 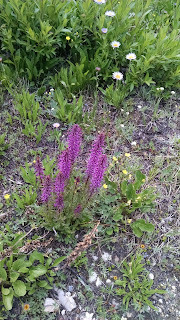 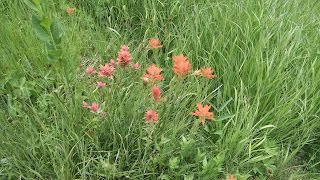 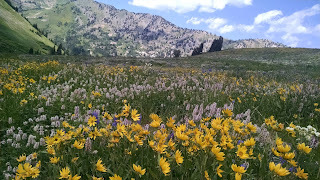 I made excellent time throughout my hike and got some wonderful shots of the views and the flowers. 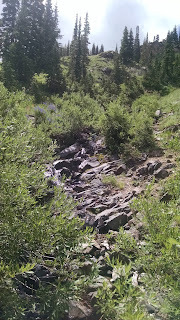 I only saw one piece of wildlife, a lone deer at the get go of my hike.